Big machines mean big engines, and traditionally, this has meant big emissions. With the introduction of the Final Tier 4 (FT4) engine, however, this is no longer the case. 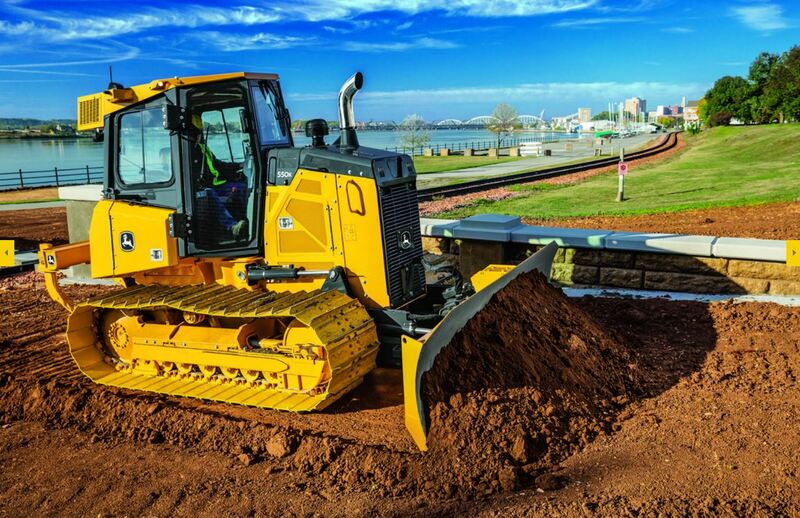 Built to reduce emissions instead of reducing performance, it’s quickly becoming the industry standard for all heavy equipment. WHAT IS A FINAL TIER 4 (FT4) ENGINE? Phased in from 2008 to 2015, the Final Tier 4 emission standards were introduced to make reductions on two key pollutants: particulate matter (PM) and nitrogen oxides (NOx). Both are known to contribute to adverse respiratory health and to negatively affect the ozone layer. FT4 engines are the response to those new standards. IS AN ENGINE UPGRADE WORTH IT? The short answer: absolutely! While there are other factors besides the environment that come into play when making your decision, the environmentally sound option doesn't always have to compromise on power and productivity. John Deere heavy equipment—which meets the EPA’s standard for Final Tier 4 engines—provides a prime example of the power of these new engines. Performance, reliability, and durability all remain unchanged. These engines are all about meeting emissions while maximizing performance, so you don't have to sacrifice one for the other. Countless hours of testing, field prototypes, and tough off-highway applications have shown that John Deere engines upgraded to Final Tier 4 standards have what it takes to get the job done—just as well as their predecessors. You can count on John Deere FT4 equipment to deliver reliable power day in and day out, for the most rugged off-highway jobs there are. While a powerful engine is always crucial for big jobs, maintaining the environment that we work in is crucial, too. This upgrade shows that one does not necessarily prohibit the other. It’s just one more way that Papé Machinery Construction & Forestry can help you find the perfect fit and technology for your job. Paving in cold weather can present significant challenges. With a few adjustments and the right training, asphalt contractors can complete paving projects in cold weather without compromising the performance of the pavement. Use these tips to expand your paving business into colder months and gain a competitive advantage over your competitors.